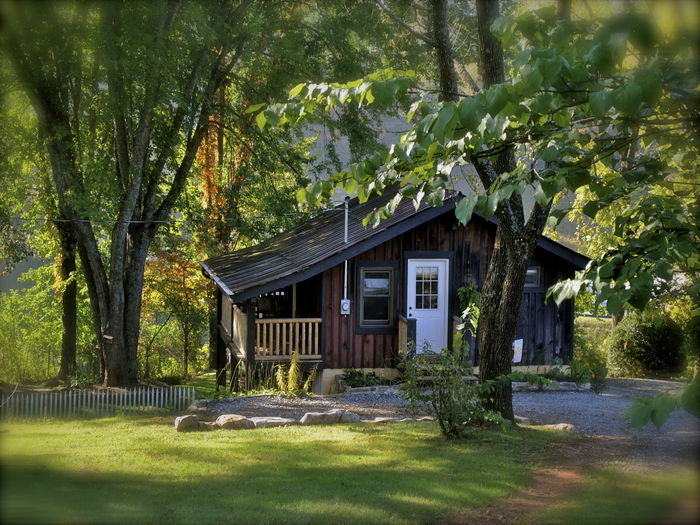 Search 1 Dillsboro private vacation rental cabins, lakefront homes in Dillsboro, North Carolina. Easy access year-round, this cozy guest cottage is private yet conveniently located across the Tuckaseegee River and walking distance to the historic village of Dillsboro. The sitting balcony porch overlooks the upper pasture. Pastoral setting with comforts of home: queen size brass bed, love seat, TV, dvd player, refrigerator, freezer, microwave oven, coffee pot, WIFI, a/c, heater, bathroom with shower, and parking space next to your door. Pets permitted upon exception.